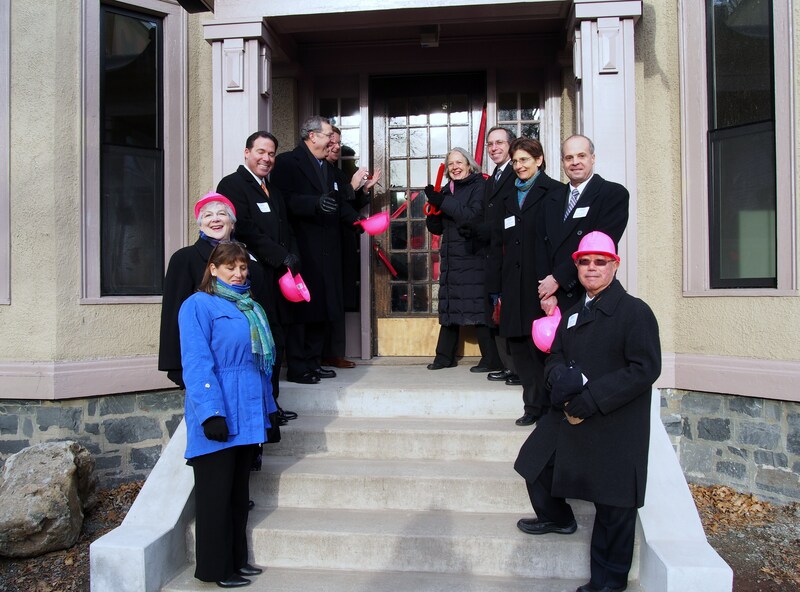 On the morning of December 12, HCA was pleased to celebrate the completion of its Capitol Square Apartments building, 258 Massachusetts Avenue, the first of three buildings on the property that will hold 32 affordable units upon completion this winter. 100 HCA supporters came out to celebrate and listen to speakers including Arlington Town Manager Adam Chapdelaine, Cedric Kam from U.S. Department of Housing & Urban Development, Massachusetts Department of Housing & Community Development’s Undersecretary of Housing Aaron Gornstein, Peter Sargent from Massachusetts Housing Investment Corporation, Gregory Bowe from Cambridge Savings Bank, Tony Fracasso from MassDevelopment and Eastern Bank’s President, Robert Rivers. Cambridge Savings Bank sponsored the morning’s festivities, and the event concluded with the guests touring the completed units. Units will be affordable in perpetuity serving low-income households at or below 60% of area median income. The buildings offer a mix of apartment sizes: 6 studio units, 17 one-bedroom units and 9 two-bedroom units with 32 units overall. Have you saved the date for HCA’s 12th Annual Walk for Affordable Housing? Thank you, Winchester Savings Bank! A big thank you to Winchester Savings Bank for your contribution!